The Winter School aims to provide students from the 6 ReMa programmes in the Netherlands (RUG, RU, EUR, UU, UvA, and VU) with representative samples of the philosophical research carried out at Dutch universities. It will moreover contribute to their professional development and give them an opportunity to meet one another. Fleur Jongepier (RU), James Pearson (UL), Lodi Nauta (RUG) and Joel Anderson (UU), who are active at different universities and in different phases of their careers, will give a lecture on a topic linked to their current research. Every participant will also follow one of the two parallel workshops scheduled on Friday morning. Both focus on learning and practicing a skill, notably how to write a philosophical blogpost or column and how to write a research proposal. The workshops will be run by three former Research Master students of Radboud University, namely Fleur Jongepier (UD Ethics, RU), Carli Coenen (NWO PhD grant in the Humanities, Open University), and Lars Cornelissen (post-doc Social and Political Philosophy, RU). On Friday afternoon, two panel sessions will be held on career prospects within and beyond academia. A number of guests, among whom former Research Master students, will talk about their own experience in obtaining a PhD or a post-doc position or in finding a job outside academia. On Saturday afternoon Christoph Lüthy, dean of the Faculty of Philosophy, Theology and Religious Studies at Radboud University, will enter into debate with Joel Anderson, coordinator of the Research Master programme at Utrecht University, and Lodi Nauta, dean of the Faculty of Philosophy at the University of Groningen, about the role of philosophy and the humanities in academia and society. Students can earn 2.5 EC by completing the readings accompanying the lectures and handing in the assignment for one of the two workshops. There is no requirement to participate in the Winter School for credits. However all participants are expected to read the assigned literature beforehand, and to actively participate in the workshop. Only ReMa student members of the OZSW can participate in this winter school, and the OZSW covers most of the costs for the event. There is a nominal fee of 30 euro per student, including accommodation, and 10 euro excluding accommodation. Please note that no-shows may be charged for the actual expenses incurred by the organizers. There will be two lunches, a dinner and breakfast included in the winter school. We can arrange for vegetarian, vegan, gluten- lactose- or nut-free alternatives if asked in advance. Registration is possible through this form. The deadline for application is January 20th, 2019. Please indicate your preferred workshop on the registration form. 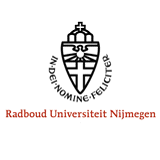 Coordinator, Research M.A. Programme in Philosophy, RU. Please contact Lemuël Hekman (l.m.hekman@gmail.com) for questions regarding the contents of the Winter School, and the OZSW office for practical inquiries (secretariaat@ozsw.nl).